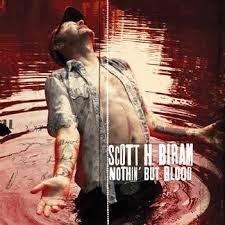 Hall of the Mountain King: Review: Scott H. Biram, "Nothin' but Blood"
Review: Scott H. Biram, "Nothin' but Blood"
I’ve always imagined that a one-man band would have to have something of a split personality, and Scott H. Biram certainly seems to back that theory up on his latest album on Bloodshot Records. On Nothin’ But Blood, Biram shifts from solemn and sacred to loud and profane in the blink of an eye. The second track on the album, “Gotta Get to Heaven,” sets the stage. The tune is a very old-school country number with some gospel overtones that tells the story of a man that walks the line between the wild life and redemption. Biram throws his soul into the hallelujahs on the chorus, but keeps a fittingly rough edge on the song. Talk about rough edges, though: “Gotta Get to Heaven” is followed immediately by “Alcohol Blues,” which certainly doesn’t contain anything of a gospel vibe. The dirty guitar riff will likely remind fans of “I Want My Mojo Back” from his last record. This one’s a raucous blues rocker full of profanity-laced anger at a cheating woman and how he deals with it. There’s even a bit of a metal scream in there when he catches her with the other man. And that’s pretty much how the rest of the album goes. Very traditional and heartfelt country songs sit, perhaps a bit uncomfortably, next to loud and often obnoxious rockers. Yet it all comes together to give you a pretty good picture of exactly who Scott H. Biram is. “Only Whiskey,” probably the best of the heavy rockers on the record, finds Biram shouting over a slashing punk-rock influenced guitar riff with a pretty catchy hook. 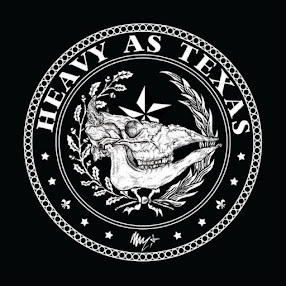 On “Church Point Girls,” he delivers his best Lemmy Kilmister impression over a blues-influenced metal riff that’s very reminiscent of Motorhead. On the other end of the spectrum is “I’m Troubled,” which is very much an early country tune, not unlike something Hank Williams Sr. or Ernest Tubb might have performed. It also gives Biram a chance to show off his harmonica chops. Album opener “Slow and Easy” has an overall upbeat and positive melody, but is also tinged with just a bit of darkness. The song also features some of Biram’s best guitar work on Nothin’ But Blood. But after the record’s up and downs, Biram ends things on a spiritual note with a three-song run to close the album. It begins with a sincere and somber rendition of “Amazing Grace” that opens with harmonica, which drops out as Biram sings the verses a capella over the sounds of running water. It’s a bold move, and it works for him. There’s a more celebratory mood on “When I Die,” which plays on the age-old gospel theme of flying to heaven to meet Jesus. Biram closes things out with a grooving foot-stomping duet with Austin singer Jesse Vain on “John the Revelator,” which serves to bring the album full circle. Biram takes listeners along for a journey on Nothin’ But Blood that’s sometimes jarring, but ultimately fitting for a guy who quit church at the age of 10, but later discovered his calling as a singer when an African-American Baptist choir performed at his school. Solemn gospel tunes and wild-eyed heavy rockers may make for strange bedfellows, but they also make for the first really good album of 2014.
Review: Grand Magus, "Triumph and Power"